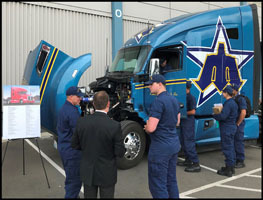 SEATTLE, Wash., June 8, 2018 – Transitioning service members, contemplating their next career move after leaving the U.S. military, received an excellent chance to explore opportunities available in the trucking industry at a recent Hiring Our Heroes Transition Summit held at the U.S. Coast Guard Base in Seattle. 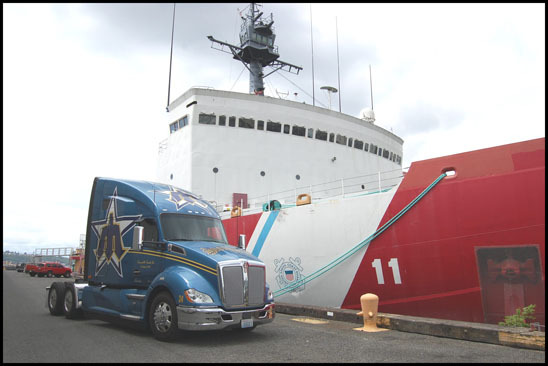 For-hire carriers and private fleet trucking companies participating in the Trucking Track Mentoring Program are urged to review the criteria and then nominate qualified military veterans first employed as CDL drivers between January 1, 2017 and June 30, 2018. Nominations are open until June 30. 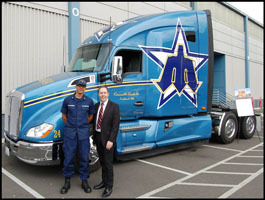 Full criteria and online nomination forms can be found on the “Transition Trucking: Driving for Excellence” website at: www.transitiontrucking.org. Following the close of nominations, the pool of candidates will be narrowed to 10 finalists, who will be recognized during the Great American Trucking Show in Dallas in late August. 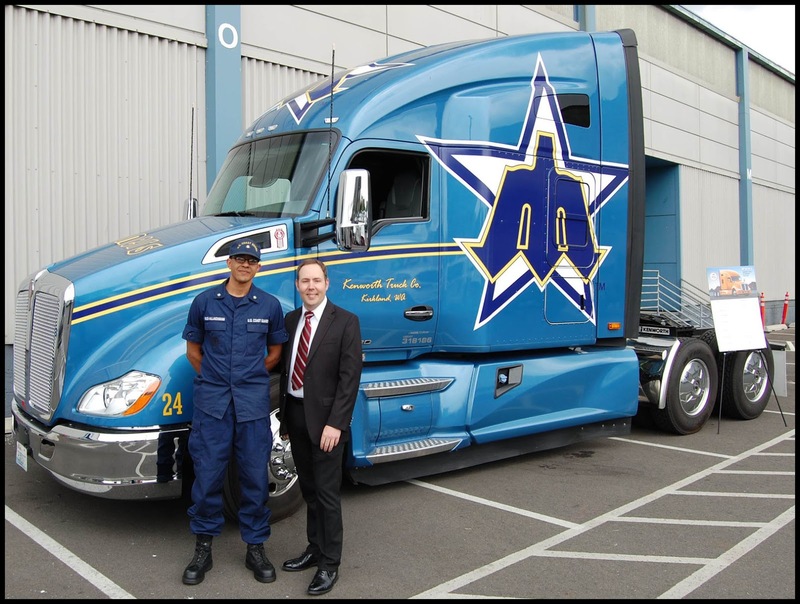 The Hiring our Heroes program runs throughout the year, with transition summits and hiring fairs slated at military bases, truck industry events, and at venues near military bases. The Kenworth T680 Advantage will be on display at selected events to inform and inspire those looking at trucking as a possible career. For more information, visit the websites of FASTPORT and Hiring Our Heroes.